In 1860 Louis-Ulysse Chopard, then aged 24, founded his watchmaking workshop in Sonvilier, in the Swiss Jura. In 1937 the Firm, by that time headed up by Louis-Ulysse's son Paul-Louis, moved to Geneva. The last generation of Chopard watchmakers sold the Firm to the Scheufele family from Germany in 1963. The Scheufele family rapidly developed its fame by using the name for its jewellery creations. Combining watchmaking and jewellery, in 1976 Chopard created one of its iconic timepieces: the ‘Happy Diamonds Watch', featuring a set of freely moving diamonds around the dial. In 1985, at the initiative of Caroline Scheufele, Chopard presented its very first jewellery collection, named after the watch: Happy Diamonds. It went on to make a successful move into Fine Jewellery in the 1990s. In 1989, Chopard opened its first dedicated store in Vienna. The group now has over 140 stores worldwide and no fewer than 1500 outlets. 1996 marked a decisive stage in Chopard's watchmaking strategy. Karl-Friedrich Scheufele returned to his roots, opening the Chopard Manufacture in Fleurier, Val-de-Travers. Intended to house the design and production of L.U.C. high precision movements (named after the Firm's founder) Chopard Manufacture is now part of the very restricted circle of genuine watchmaking manufactures. Chopard has also been very involved for many years in the work of major philanthropic organisations. The group has long-standing partnerships with WWF, the José Carreras International Leukaemia Foundation and the Elton John AIDS Foundation. 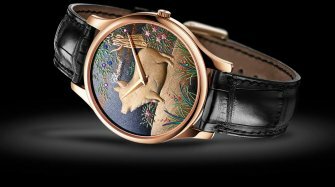 Louis Ulysse Chopard founds his workshop. 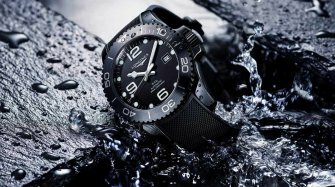 Chopard is bought out by the Scheufele family. The workshops move from Geneva to Meyrin. Creation of the Happy Diamonds collection. 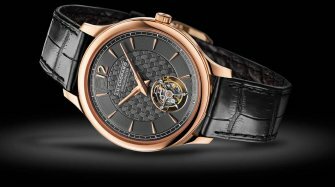 Chopard Manufacture opens in Fleurier. Maison Chopard relies on four essential values: expertise, tradition, innovation and commitment to philanthropy, whilst working hard to pass on knowhow and skills to future generations. Chopard has had an in-house training centre since 1994. 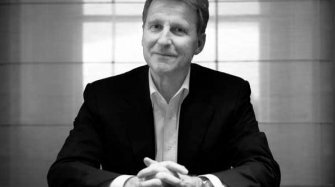 Through their respective interests, co-CEOs Caroline and Karl-Friedrich Scheufele have successfully given Chopard a new vision. 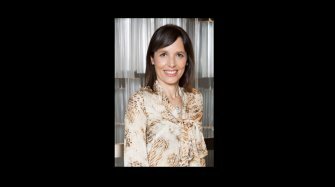 Caroline Scheufele is a film-lover; it was she who instigated the partnership between Chopard and the Cannes Film Festival in 1998. 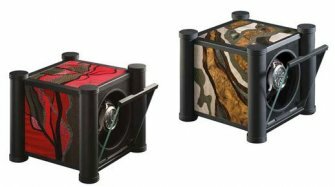 As well as redesigning the Palme d'Or trophy, in 2007 she created the sumptuous Red Carpet Collection, drawing inspiration from the stars and the legendary steps of the Palais des Festivals. Each year, her creations make the greatest film stars shine out as they climb the red carpet. Karl-Friedrich Scheufele is a lover of vintage cars, making Chopard's involvement in the world of car racing and vintage cars a natural choice, too. Chopard has supported the legendary Mille Miglia race since 1988 – and the historic Monaco Grand Prix since 2002. 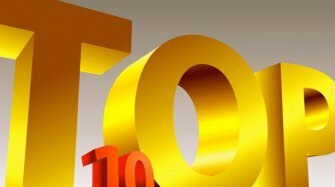 These partnerships have resulted in hugely successful collections of watches named after them. The Classic Racing collection brings together models that draw their inspiration from the world of motor racing, such as the Superfast, Mille Miglia, Jacky Ickx and Grand Prix de Monaco Historique watches. The Happy Diamonds collection is part of Chopard's DNA. This immediately identifiable collection displaying freely-moving diamonds has successfully moved with the times, and comes in a wide range of different versions. Since 1993, the Happy Sport watch has become established as one of the firm's showcase collections. 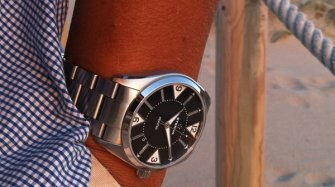 The different alternatives have made this watch as essential as any contemporary classic watch. 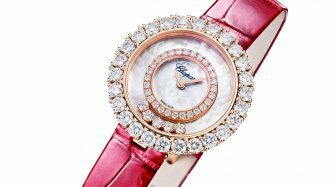 In 2013 Chopard is celebrating the twentieth anniversary of the Happy Sport watch with the launch of brand new models. In 1994, Chopard created a collection of watches inspired by French Empire finery. 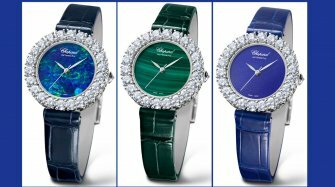 Since 2010 Chopard has been reinventing the Imperiale line, with a series of ultra-sophisticated watches featuring imposing shapes, luxurious materials, and clasps studded with cabochons at both ends, reminiscent of Napoleonic columns. L.U.C. 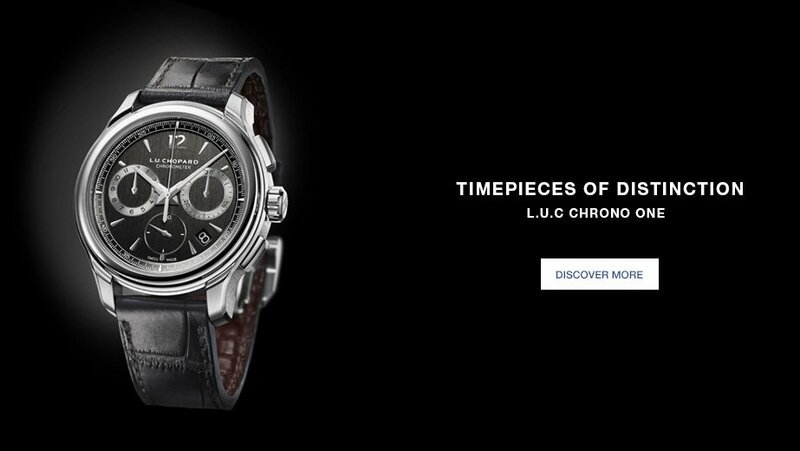 is a traditional fine watchmaking collection, fully designed, developed and produced in-house by Chopard. 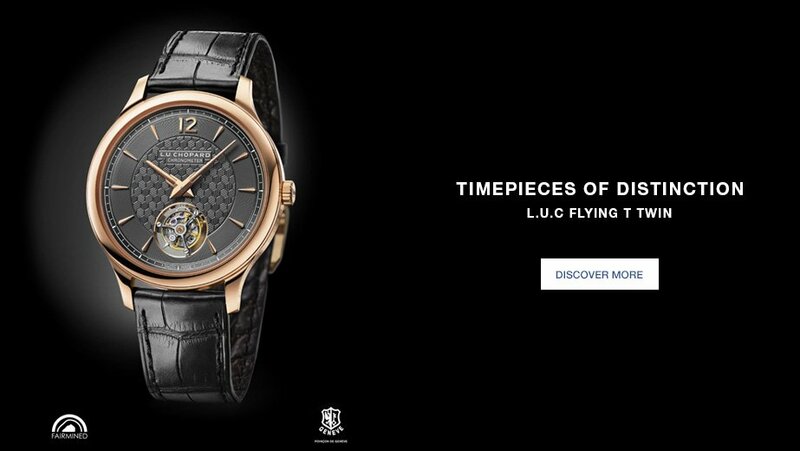 Timepieces bearing the initials L.U.C. 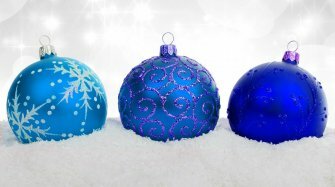 feature a very high level of technical requirements and extremely careful attention to detail – and are decorated by hand. Since 1996 and the inauguration of the Chopard Manufacture, ten families of movements with a total of 73 different alternatives have been produced, the great majority of them with COSC certification, and many of them bearing the Geneva Seal or the Qualité Fleurier label. The Red Carpet Collection is a selection of the most outstanding items in the Fine Jewellery Collection.The collection was created in 2007 on the occasion of the sixtieth anniversary of the Cannes Film Festival – coincidentally, also the tenth anniversary of its partnership with Chopard. 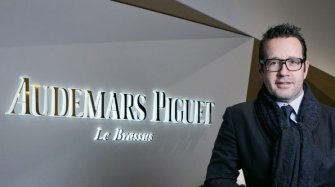 Drawing inspiration from the stars and the magical moments on the red carpet, it comprises exceptional, unique timepieces, combining rare and spectacular stones, creative innovation – and respect for the traditional knowhow of a Fine Jewellery workshop. Chopard was founded in 1860 by Louis-Ulysse Chopard in the town of Sonvilier in Switzerland. 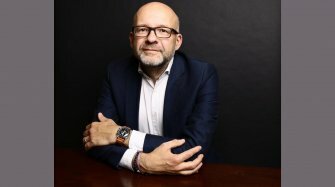 His son Paul-Louis Chopard moved the company to La Chaux-de-Fonds in 1921 and Chopard later relocated to Geneva so that the company could certify its watch movements with the prestigious Geneva Hallmark seal of quality. On Paul-Louis's death in 1943, Chopard passed to his son Paul-André. 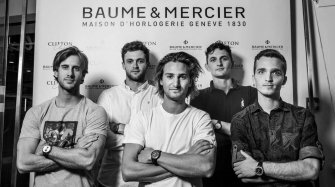 But by the time Paul-André reached the age of 70, and none of his sons were interested in running the company, he had to look for someone to buy the company. 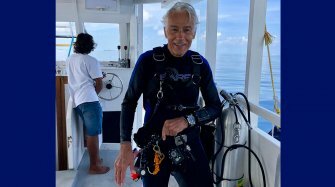 After German watch and jewellery magnate Karl Scheufele, a goldsmith and watchmaker from Pforzheim. After visiting the workshops in Geneva and talking to Paul-André, Karl Scheufele decided to buy the company in 1963. 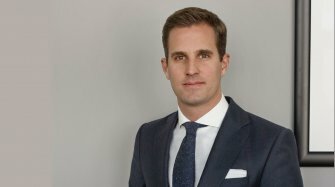 Today, Karl Scheufele's two children, Karl-Friedrich and Caroline, jointly run the Chopard watch and jewellery company. 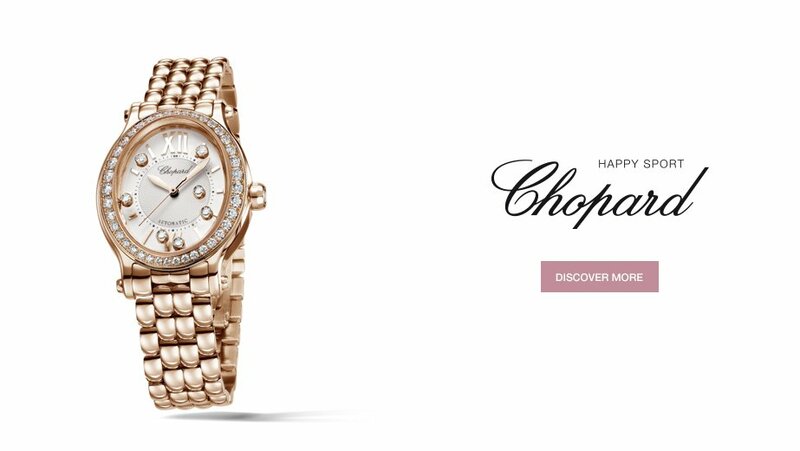 Chopard moved to its current location in Meyrin, on the outskirts of Geneva, in 1974 and two years later launched the Chopard Happy Diamonds collection for ladies that remains to this day one of the brand's most popular watches. The Happy Diamonds watch collection is characterised by the free floating diamonds lodged between two sapphire crystals on the case that can move freely around the dial. The move to Meyrin, in the canton of Geneva, meant that Chopard was also free to submit its watch movements for the prestigious Geneva Hallmark certification. 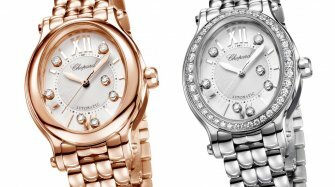 In the early 1980s Chopard started to offer luxury sports watches for men in stainless steel and gold and diamond jewelry for ladies, inspired by the Happy Diamonds watch and bearing the same name. Thanks to its in-house gold foundry, Chopard has an unrivalled capacity for producing its own ladies gold jewellery and gold watch cases. Around the same time Karl-Friedrich Scheufele surprised the industry at the tender age of just 22 by presenting as his first creation a sports watch in stainless steel: the St. Moritz. In 1996 Chopard opened its own watch movement production facility in the historic Swiss watchmaking town of Fleurier. This new factory paved the way for Chopard to become one of the founding members of the Qualité Fleurier - one of the best certifications of quality that is granted only to watches that have passed some of the most stringent quality and reliability tests in the industry. 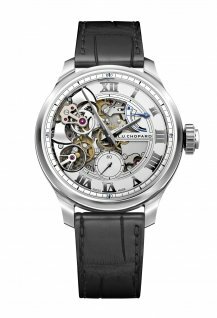 This in turn allowed Chopard to become the first and only watch company to offer "triple certification" watches, which carry a COSC chronometer certificate, Qualité Fleurier seal and the Geneva Hallmark. 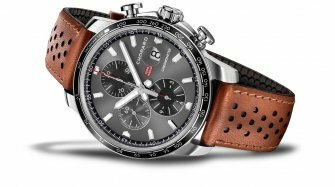 Chopard's watch collections include classic stainless steel case models with a white or black dial inspired by the world of motor sport and its rich history. These bear evocative names like Superfast, Mille Miglia, Jacky Ickx and Grand Prix de Monaco Historique. Chopard has been a partner of the Grand Prix de Monaco Historique since 2002 and a partner of the legendary Mille Miglia classic car race from Brescia since 1988. Karl-Friedrich Scheufele is a big fan of motor sport and is a regular participant in the Mille Miglia. The wide variety of models dedicated to this sport are a tribute to his passion. The brand's "happy" models for ladies are undoubtedly the most famous in the collection, incorporating the Happy Diamonds for ladies, with its free floating diamonds that turned the diamond into a playful decorative element on the watch, and the more contemporary Happy Sport collection (also for ladies) with cases in stainless steel and automatic movements. The originality of their use of the diamond makes them a great alternative to ladies looking for something other than the diamond set bezel typical of most ladies watches. 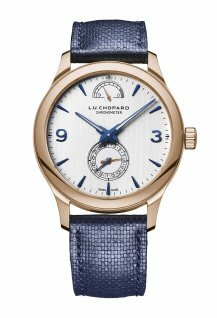 The L.U.C collection is Chopard's top of the line range, featuring hand-decorated movements with high levels of quality and top watchmaking certifications. 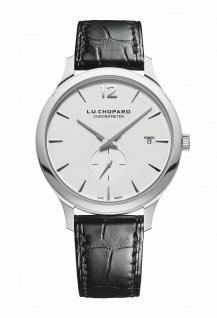 The L.U.C is Chopard's offer to lovers of fine watchmaking with a case in red or white gold. 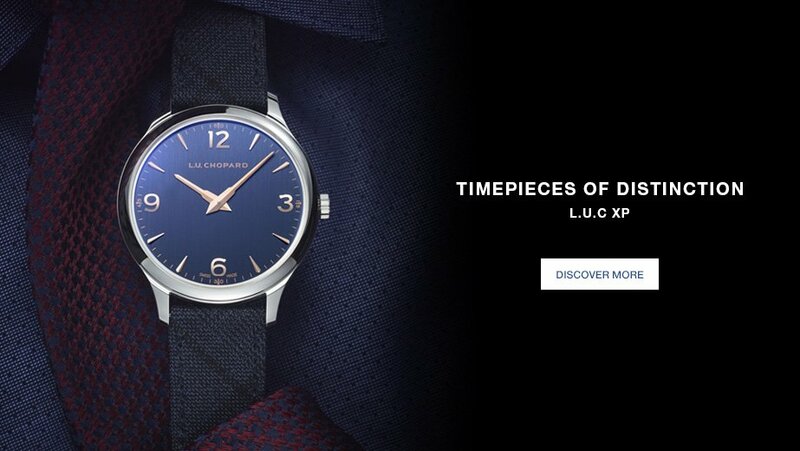 These models proudly bear their name on the dial. 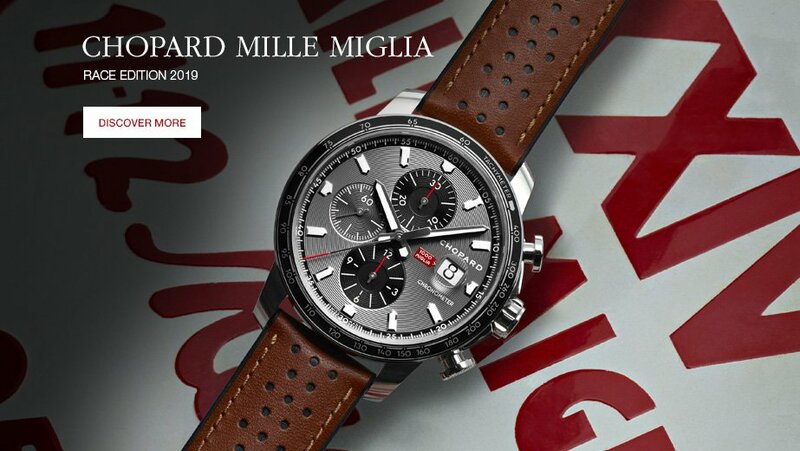 Chopard celebrated its 30th year of partnership with the Mille Miglia regularity race in 2018 and has an entire collection of sporty timepieces dedicated to this race. The Mille Miglia watches combine stainless steel with titanium and gold and silvery white or black dials to give the quintessential sporty timepiece. Stand-out models include the Mille Miglia GTS in stainless steel, the Mille Miglia Power Control in stainless steel, the Mille Miglia GTS Automatic Speed Black in DLC coated stainless steel, as well as the Mille Miglia GTS chrono in 18-carat rose gold and the Mille Miglia Classic XL 90th anniversary model in rose gold. There are also ladies’ versions of the Mille Miglia in stainless steel with a white dial and matching white strap. Chopard is also a partner of the Grand Prix Historique de Monaco, which is held every two years on the principality’s famous formula 1 circuit. The company produces a race edition every two years, with the last two models being bi-compax chronographs stainless steel and 18-carat rose gold with a grey dial. 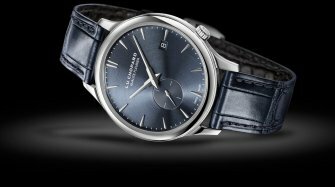 The Superfast collection showcases Chopard’s in-house prowess in fine movement manufacturing in a choice of models in stainless steel or 18-carat rose gold. A limited edition in titanium was produced as a tie-in with Chopard’s association with Porsche Motorsport while the team was participating in the Le Mans 24-hour race in the World Endurance Championship. A Porsche 919 edition is stainless steel with a silver dial is the only watch currently in the Superfast collection that does not have a black dial. For both men and women looking to buy a truly classic Swiss watch, Chopard offers the Classic collection, in which the emphasis is on purity of lines and traditional Swiss watchmaking qualities. The Classic is available exclusively in precious metal (either rose or white gold) and exclusively with a white dial with Roman numerals (a mother-of-pearl dial is available for women). Similarly classic designs are proposed in the L.U.C collection, which offers models in stainless steel as well as the precious metals but also introduces complications such as big date, chronograph and GMT. 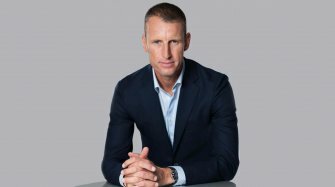 Chopard opened its first own-name store back in the 1980s and has since developed its retail network to around one hundred own-name stores worldwide. 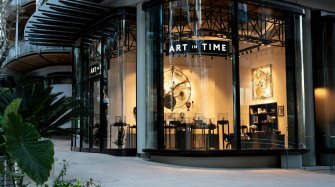 These stores offer customers the opportunity to experience the brand's entire environment, from the virility of the classic sport watch in stainless steel to the luxury of gold and the sparkle of the diamond, and to buy their luxury item with a cast-iron guarantee backed by the brand itself. 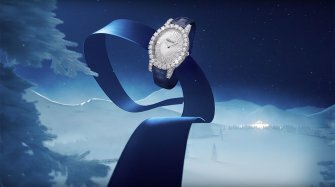 Chopard has been producing diamond watches ever since the Art Deco period and continues to offer a diamond watch collection that shows off the full extent of the diamond setter’s skill, incorporating navette, baguette or brilliant-cut diamonds. The “Heure du Diamant” collection uses a variety of case shapes (round, vertical and horizontal ovals) in white and rose gold fully set with diamond sparkle. The pièce de résistance is a lady’s diamond tourbillon watch in rose gold. 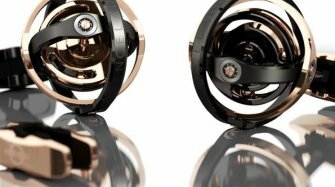 Chopard was the first watch and jewelry company to set up a separate production line exclusively using Fairmined gold and in 2017 was the biggest purchaser of Fairmined gold. 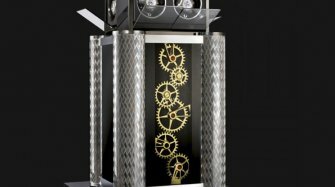 At the Baselworld watch and jewellery show in 2018 the company went a step further, committing to use 100% ethical gold from responsible sources in its watch and jewelry collections as of July 2018. 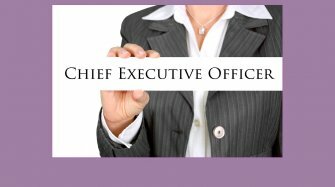 Because the company is vertically integrated for its jewellery production as well as the production of its watches (Chopard has its own in-house foundry), the company is free to choose its own operating model. Its closed-loop production system means that up to 70% of its gold production waste is already recycled in the production process, reducing its dependence on buying freshly mined gold. 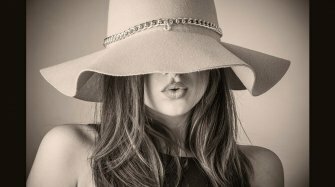 Chopard is now therefore a great choice for those looking to buy into sustainable luxury and the first luxury company from which customers can buy 100% ethical gold. As a partner of the Cannes Film Festival, Chopard also produces the prestigious gold Palme d'Or trophy that is presented to the winner.